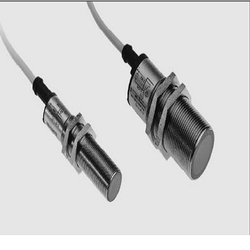 We are the suppliers, distributors, Importers, Exporters, Traders of the Proximity sensors Inductive High degree of Noise Immunity made by Carlo Gavazzi. In many fields, the EMC immunity is superior to the demands of norms and standards. The sensor is very immune to burst noise and radio frequency electromagnetic fields. Typical applications are in environments with extreme electrical noise. The sensor can e.g. be used in windmills for measuring the blade shaft velocity, the generator shaft velocity. Looking for Proximity Sensors ?